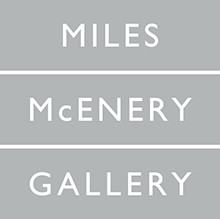 NEW YORK, NEW YORK – AMERINGER | McENERY | YOHE is pleased to announce an exhibition of recent paintings, “movements,” by Yunhee Min. The exhibition will open on 26 May and will remain on view through 1 July 2016. A public reception for the artist will be held on 26 May from 6:00 to 8:00 PM. 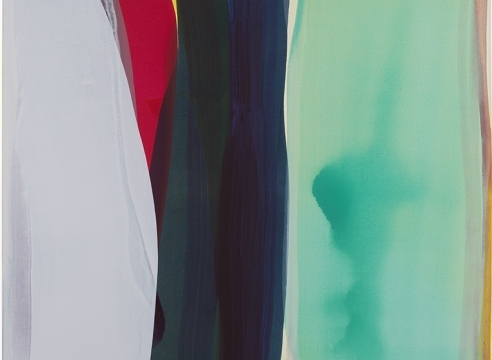 Yunhee Min’s latest abstractions continue her investigation into the fluidity and expansiveness of perceived movement. Through gestures and layers of color, from soft pastels to glowing iridescents, Min’s paintings resist static time and interpretation. Rather, the paintings unfold in time suggesting spatial and atmospheric nuances that are distant from language. The immediacy of color is palpable in Min’s paintings. In addition to color’s associative qualities, for Min, color and pigment are material substances that take on a vitality in their relation to one another. Particular to these paintings is an exploration of the dynamic state of liquidity where wet pigments comingle and the surfaces emerge as they solidify. Cumulative and wavering, these layers of color in her paintings affect our perceptual body and are felt through experience. Accordingly, Min’s compositions invite intimate engagement. Standing vertically, subtly undulated or curved, Min’s forms touch, intermingle and overlap engendering translucency and depth that suggest endless exchanges between space and motion. Evoking sensations of movement both physical and imagined, Min’s paintings conjure states of slowness and immersive experience. Confronting us with their penetrating luminescence, Min’s works offer us contemplative moments of active and unexpected viewing. YUNHEE MIN received her Bachelor of Fine Arts degree from the Art Center College of Design in Pasadena, CA in 1991 and studied with Professor Günther Uecker at Kunstakademie in Düsseldorf, Germany in 1994. Min received a Master in Design Studies from the Graduate School of Design at Harvard University in 2008. Min has had numerous solo exhibitions both nationally and internationally, which include “Movements,” Susanne Vielmetter Los Angeles Projects, Culver City, CA; “For Instance,” Hammer Museum, Los Angeles, CA; “Above and Beyond,” Pasadena Museum of Contemporary Art, CA; “Distance is like the future, Circa Series,” Museum of Contemporary Art San Diego, CA; “Fading Wild,” Finesilver Gallery, San Antonio, TX; “One foot in front of the other,” Or Gallery, Vancouver, British Columbia, Canada; and “Fast times,” ACME., Los Angeles, CA, among others. Recent group exhibitions include “Elemental | Seeing the Light,” Stuart Haaga Gallery, Descanso Gardens, Los Angeles, CA; “Speed Space,” Tif Sigfrids, curated by Alexandra Gaty, Los Angeles, CA; “Spectra,” San Diego State University Downtown Gallery, San Diego, CA; “Lost line,” Los Angeles County Museum of Art, Los Angeles, CA; “ABCyz,” Launch Exhibition, Silvershed, New York, NY; “The Trans-Aestheticization of Daily Life,” University of California, Riverside Sweeney Gallery, Riverside, CA; “Too much love,” Angles Gallery, Curated by Amy Adler, Los Angeles, CA; “Around About Abstraction,” Weatherspoon Art Museum, Greensboro, NC; “Wall Painting,” University of Texas at San Antonio, San Antonio, TX; “Snap Shot,” UCLA Hammer Museum, Los Angeles, CA (Traveled to Museum of Contemporary Art, North Miami, FL); “Fresh,” Altoids Curiously Strong Collection, New Museum, NY; “KOREAMERICAKOREA,” Sonje Museum of Contemporary Art, Seoul, Korea; and “Rundgang,” Kunstakademie Düsseldorf, Düsseldorf, Germany. Her work may be found in the public collections of The UCLA Hammer Museum, Los Angeles, CA; The Los Angeles County Museum of Art, Los Angeles, CA; and Museum of Contemporary Art San Diego, La Jolla, CA. Min is an Associate Professor at the University of California Riverside, Riverside, CA. Prior she has taught at Emily Carr University of Art + Design, Vancouver, British Columbia, Canada; School of the Museum of Fine Arts, Boston, MA; and the University of California, San Diego, San Diego, CA, among other prominent universities. Yunhee Min lives and works in Los Angeles, CA.